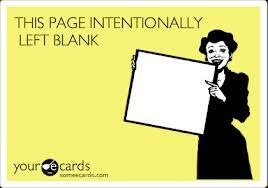 When the author is writing a story, he must constantly go back to the blank page and fill it in. One of my most entertaining teachers I had at St. Francis University, who referred to himself as The D-Man, had written a few books in his time – including the textbook for his class. As a fully tenured professor on the brink of retirement, he had a story or two to tell and class typically went off on a tangent or two. 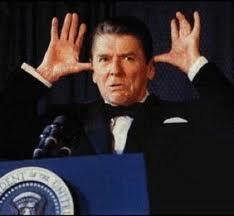 Students were always trying to pick his brain for interesting stories or advice from him…or sometimes they were just trying to waste time in class. Students interested in stroking his ego and getting some brownie points (me) would ask him about his books. This was a topic he was always happy to talk about. It’s nothing he said about his books specifically that stuck with me, but rather what he said about writing a book. He said something to the effect of “you come to the page and you write one word, and then another, and then another…and then you do that again”. I am doing what you might call a creativity program with my sister, Clare, called “The Artist’s Way”. Similar to what the D-Man said, the Artist’s Way stresses “showing up at the page”. Whether you are a writer, a poet, a painter, a screenwriter, designer, musician, etc… you have to be willing to show up at the page or the canvas and let yourself fill it. For instance, I remember one of my posts from last year called “The Missing Ball“. I came to the page planning on writing little update about how I had lost a ball while training and ended up writing quite a bit about No-Shave November…and the humility I suffer from my lack of ability to participate in it. Like untended facial hair, a blog can often take on a life of it’s own as well. Getting out on the field and playing soccer is an incredibly similar process. The pitch is the blank canvas, the empty page. You have to take the chance to show up. Then the game takes on a form of its own and you get to impress your unique talents upon the outcome. The more pages you fill, the more comfortable you get with the process and the more you can develop and improve. It’s when you don’t get the chance show up on the page when things get frustrating. So, after being back at Hungerford Town for the last few weeks, I did get the chance to play in two games. In the first game, in a single elimination tournament, we played a team a league below called Bishop’s Cleeve. I played for about the last 25 minutes and did quite well, although we had already essentially won the game when I entered the match at 3-0. I played on the right wing and nearly got a goal. We won the game 4-0 in the end in a comfortable performance. It was nice to get a run out since I hadn’t played for a few weeks since my return from the Thatcham Town loan which I mentioned. The next game, we played in another local Cup/Tournament against a team in a lower division called Whitchurch United FC. I got to play 90 minutes in central midfield and did well. We ended up dominating and winning the game, but we only managed to score 1 on the night. It felt good to get a full game. I was able to successfully fill the canvas, but not having played a complete game in a while, it wasn’t my most fluent and impressive display. Having only had these two opportunities to play and signs of more chances on the horizon, despite solid performances, I requested to go back out on loan. I really need to get a significant stretch of games to find some consistent form and rhythm in my game. I need more chances to show up at the page and improve my confidence and my ability to influence and dictate the pages that I play a part in. At this point, If I’m not getting the chance to even show up, then I won’t get anywhere. Therefore, I’m back out on loan at a club in the division below called Fleet Town FC. So far they have really been struggling this season. They are second to last in their league and haven’t won in about two months, so my work was cut out for me. It was an exciting and yet difficult challenge to try to help them get their season back on track. My first game with them was last Saturday. We ended up tying 0-0 against a mid-table side called Evesham United. I played full 90 minutes and if the game was a piece of music, it would have resembled a heavy metal rave, rather than a classical concerto. In other words, it was a bit of a battle and far from the prettiest, most technical game I’ve played in. 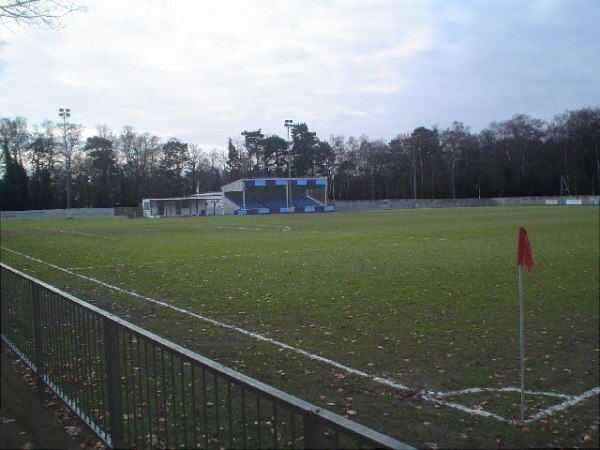 Calthorpe Park – Home of Fleet Town FC. The slope on this pitch from end to end is so drastic that it effects tactics considerably. While it was a good start, seeing as we didn’t lose, I know that personally I have much more to offer and I’m looking forward to the next game! I’ve recently come to enjoy, and even crave, coming back to the blank page and impressing myself upon whatever unfolds. So, now I have an itch to walk out onto the pitch again as soon as possible and to take one stride at a time, just as the artist takes one stroke at a time. In this way, I will consistently create new work and eventually, I will have my masterpiece. Until next time, don’t be afraid to face the blank page. Write a word and you are on your way.